For further details see the Havant Symphony Orchestra website. 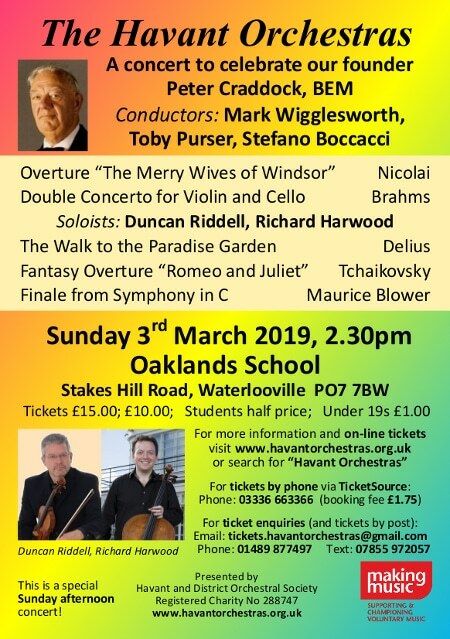 This is a special concert by the combined Havant Orchestras to celebrate our memories of our founder and outstanding musical director for 50 years, Peter Craddock, BEM, who passed away in 2017. Read “From Busker to Maestro – Roy Theaker and Peter Craddock” on the Noticeboard.